THE BEATLES: SGT. 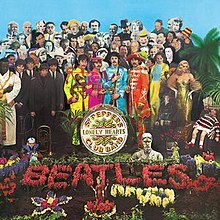 PEPPER’S LONELY HEARTS CLUB BAND: 1967: 5 STARS OUT OF 5 STARS: The most acclaimed album ever- since the day of its release 51 years ago- its pretty safe to say that while many acknowledge that Revolver is a better Beatles album- when it comes to most acclaimed/ most famous album- Sgt. Pepper will forever hold the title due to it’s cultural importance. THE BEATLES: MAGICAL MYSTERY TOUR: 1967: 5 STARS OUT OF 5 STARS: Not a ‘true” album- since was basically a collection of A and B sides plus songs that went to The Beatles television movie. Included here are two of the most celebrated songs- the double A- Strawberry Fields Forever/ Penny Lane which is as much a work of art as the Sgt. Pepper album- it gets my vote for the best single ever released. Also on the album is the instrumental “Flying’ which the songwriting credit went to all four Beatles. PAUL MCCARTNEY: WINGSPAN: HITS AND HISTORY: 2001: A double album the first disc make up of HITS– the second disc- HISTORY. Of course the first disc is packed but the second disc with the best of the album cuts is also a good listen. I know Paul’s solo career gets poked at a lot- and no doubt his Beatle songs were better but the best of his solo material holds up well. 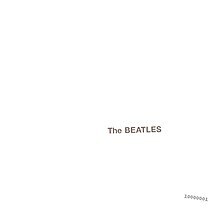 THE BEATLES: THE BEATLES: 1968: 5 STARS OUT OF 5 STARS: I was thinking about how just a year or so earlier how The Beatles were recording and writing the Sgt. 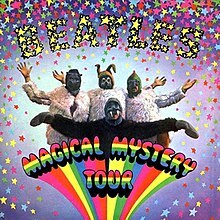 Pepper/ Magical Mystery Tour songs- and how different these songs are compared to those songs. Another key to The Beatles success– ok we did this let’s do something else– instead of just repeating past successes. They were always one step ahead of everyone else. June 18 – MAcCartney’s birthday. Mine too. The variety of the White Album is amazing. Everything from Helter Skelter, Yer Blues, Back in the USSR to Revolution 9, Honey Pie, Rocky Racoon, and Goodnight. The diversity of both John and Paul’s songs on it really stick out. Dear Prudence has always been high on my list. I have even grown to love Revolution #9! You HAVE to be a true Beatles fan! No, I also listen to it because it’s like a journey into somewhere mysterious. I’m glad they included it on the album…they covered everything else…why not Avant Garde? They played around with sounds and loops many times before but never up front like this. lol mine would not make it that long. I tell her no appreciation for great art. Revolution #9 is truly something that you hear new things with each listen!